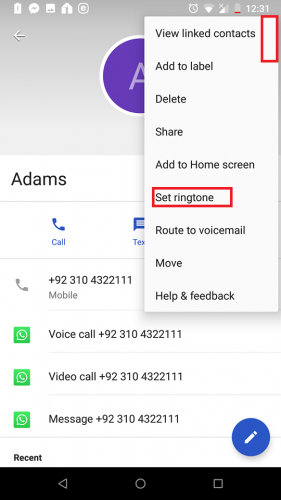 Knowing how to set Individual ringtones for contacts on Android can come in handy for a number of reasons. I mean, if there is a certain someone you completely despise and can’t stand for a minute, you can change his ringtone, and without even looking at his call, ignore him. Also, sometimes we eagerly await a call from a crush or a lover. In that case, setting a custom tone is the best way to know exactly when their call is ringing. Who doesn’t like to know who’s calling without picking up the phone? It saves everyone trouble and a lot of precious time. And trust me, it’s really simple. It doesn’t take a minute. All you have to do is follow some simple steps to assign individual ringtones for specific people. And after you’re done, you’ll know that its your mom who’s calling whenever John Bon Jovi’s “It’s my life” starts playing on your phone. 1. 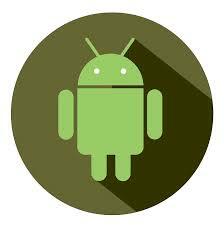 Open the Phone Application on your Android home screen. 2. 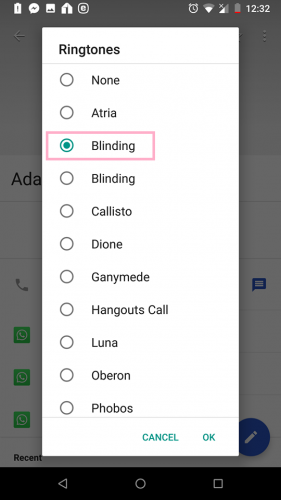 Tap the Contacts tab and select the contact you wish to set a specific ringtone for. 3. Click the Menu button(three horizontal dots) on the top right corner. Scroll down to set ringtone. 5. 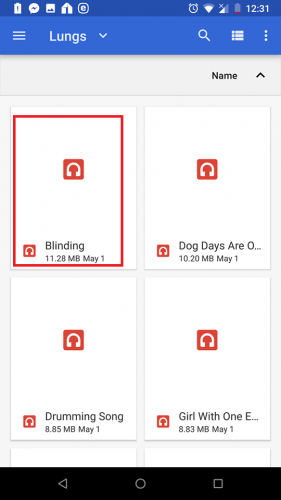 Select the audio file from your device. 6. 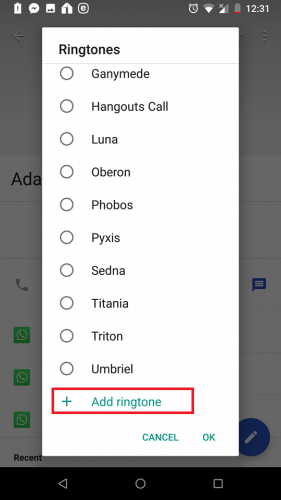 Select the Ringtone you just added and press OK.
And that’s all you need to do to set individual ringtones for contacts on Android. 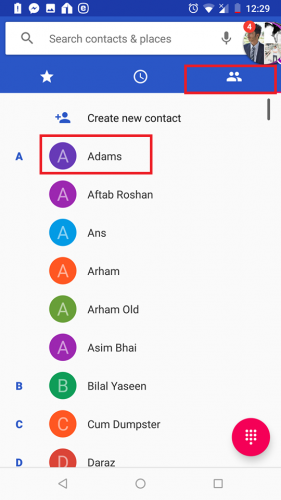 Now, whenever you want to prioritize a contacts call, you can customize his ringtone to know exactly when he’s calling. It’s Pretty simple, right? Also, one thing to keep in mind is that obsolete versions of the Android might not support these features. So if you’re using an outdated version of the highly popular mobile OS, I’d suggest you to update to avail this and many other similar features. If something’s still heckling you, don’t hesitate to reach out to us. We are nothing but your humble servants. We’re always up and about when it comes to serving our readers with the best tech advice in town. Also, if you’re seeking further tech-related assistance, please click my profile link to get access to dozens of tutorials and guides on technology related topics. I’ve written on almost everything, from Instagram to Gmail. I know there’s a world out there who’s looking for some tip-top guidance. That’s why I do what I do. Check out the FAQ. It might help you clear out some confusions. The feature is not working for me. Why? Well, this can happen due to one particular reason. In order to assign custom ringtones for a specific contact, you have to save him in your phone, rather than your Sim card. If his contact is not saved in your phone, you won’t be able to set a specific ringtone for him. 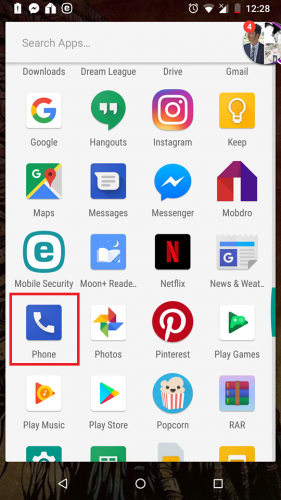 Do I need a third party app to change individual ringtones for a specific contact? Well, you certainly can use a third party application, if you wish to. But, really, there’s no need. Even without it, it’s really simple to customize ringtones.